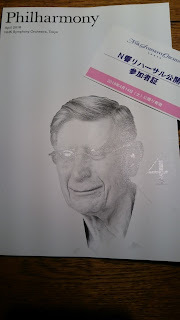 Yesterday (April 14th), I had a chance to hear NHK Symphony Orchestra's rehearsal with Herbert Blomstedt conducting Berwald's Symphony No.3 and Berlioz's Symphonie fantastique. It's been so long that I can't remember when was the last time I heard live orchestra, so I was very much looking forward to this opportunity. Blomstedt, NHK's honorary conductor laureate, betrayed his age of 90 in presenting the two pieces under the influence of Beethoven. Powerful yet sensitive. NHK Symphony's string section has always enjoyed high reputation, and they sounded even much better than what I remembered, especially with Berwald. 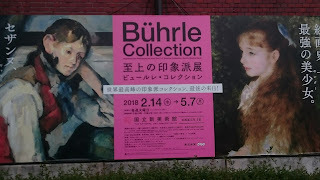 In the afternoon, I went to the National Art Center in Roppongi to see an exhibition of Buhrle Collection. The collection is going to be transferred to the Zurich Museum of Art, so this is said to be the last opportunity for so many pieces of the collection to be shown together. 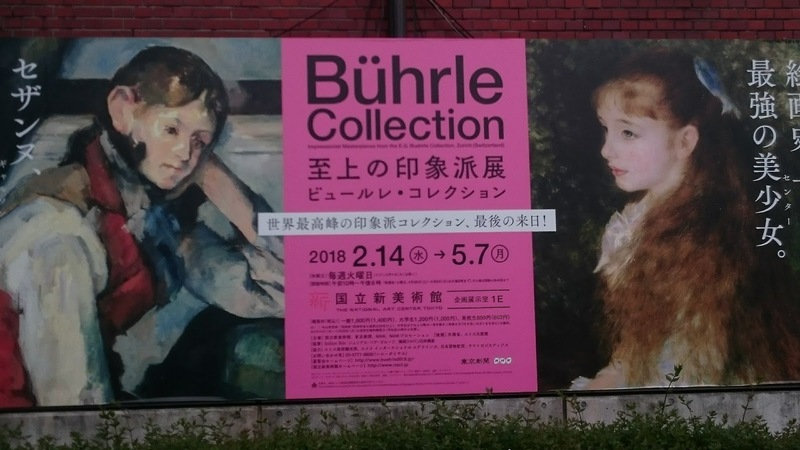 It was cetainly full of masterpieces, and worthy of a visit, but I was a bit disappointed to learn that Buhrle built his wealth to collect these paintings by making weapons. On my way home, I stopped by at a flower exhibition where my sister had her piece presented. I hadn't told her that I was coming, because I wasn't sure of the time. Fortunately, I ran into her just before she was leaving. I never learned flower arrangement myself, and still cannot tell what's good as I look at various arrangements. I liked my sister's piece anyway, and I guess that's what it counts.